Minimum Fee is $333 if the total amount of commissions charge on your account during the month is less than the minimum amount, we'll debit you the difference. At the end of each month we consider the total volume traded on your account. If the total volume on your account has reached higher tiers, we will recalculate the fee amount in accordance to the relevant tier's rate. We'll then credit your account the difference. Minimum account balance is $25,000, required account type is Margin Account. Your account value must be at least $2,500 to begin trading. Some of the lowest margin rates in the industry. If one long, equity position accounts for more than 50% of the total margin account's value, then the maintenance requirement for that equity security will be adjusted to no less than 50%. Please note that Just2trade reserves the right to set a higher concentration requirement on certain stocks if it deems it too volatile. Additionally, stocks priced below $5.01 has a requirement of no less than 50%. and 50¢ per option contract. Access to competitive 3rd party professional trading platforms like Sterling Pro Trader and Sterling Pro manager with price as low as “$0”. Simulation Software $49.95 per month. * Not including exchange fees and/or NFA fees, may be higher depending on trading specifics. Trading during extended hours is subject to a commission surcharge of $0.003 per share. This fee applies to orders executed on the Electronic Communication Network (ECN). Extended pre-market trading is between 7:05 a.m. - 9:30 a.m., EST. Extended after-hours trading is between 4:00 p.m. - 8:00 p.m. EST. SEC Section 31 transaction fees are charged by the government to recover the costs of regulating the securities markets. The fee is charged on all security sales, based on the total principal (dollar) amount sold. The current rate is $0.0000218 per dollar of your sale proceeds. For example, if you sold 100 shares of stock at $25.00 netting total proceeds of $2,500.00 you would be charged $0.06 for the transaction: (2,500 x 0.0000218) = $0.054 = $0.06 (rounded up to the nearest penny). Effective Jan 7, 2016. Trading Activity Fee rates are as follows: Each member shall pay to FINRA: (1) $0.000119 per share for each sale of a covered equity security, with a maximum charge of $5.95 per trade; (2) $0.002 per contract for each sale of an option; (3) $0.00008 per contract for each round turn transaction of a security future, provided there is a minimum charge of $0.01 per round turn transaction; In addition, if the execution price for a covered security is less than the Trading Activity Fee rate ($0.000119 for covered equity securities, $0.002 for covered option contracts, or $0.01 for a security future) on a per share, per contract, or round turn transaction basis then no fee will be assessed. The Options Regulatory Fee (ORF) is a transaction-based fee charged by options exchanges and collected by the Options Clearing Corporation (OCC) to offset the costs of supervising and regulating the options market. This fee varies based on industry volumes and is assessed to buy and sell option orders at a rate of $0.0407 per contract. Effective Aug 1, 2016. Just2Trade charges an additional $0.35 per contract on purchases and sales of certain index products where the exchange charges fees. We are proud to offer you straightforward pricing without any hidden charges. Transfer On Death Agreement $50.00 One-time setup charge. This fee will be reimbursed if your account has over $10,000 in assets, and at least 40 trades have been placed (options & equities only). IRA Closing Fee $75.00 Includes outgoing transfer via ACAT. Paper/Duplicate Statements $5.00 per statement. Paper/Duplicate Confirmations $3.00 per confirmation. Borrow Fee Daily stock loan charges assessed to short trades. Foreign Settlement Fee (ADRs exempt) At cost. Physical Settlement Fee Physical Settlement Fee At cost per certificate. We do not accept third party wires. Incoming third party wires will be returned and the Wire Return Fee will be charged to the account. We provide various trading platforms for different levels of traders: check out the platform to enhance and develop your trading experience. Web based trading platform with technical driven interface for stock traders. Convenient trading features and user friendly interface in iOS application. 3rd party platform for futures traders. Just2Trade offers special price for Sterling trading platform. Contact support to get details. FIX and REST APIs for developers and algo traders. We believe that modern financial mechanics is a problem of IT and code, not finance. We seek for elegance of integrations by eliminating the unnecessary complexity of financial infrastructure. Our API calls are based on REST concepts and can be made with any language that supports standard HTTP. Trading is made as easy as possible, just plain JSON and POST. 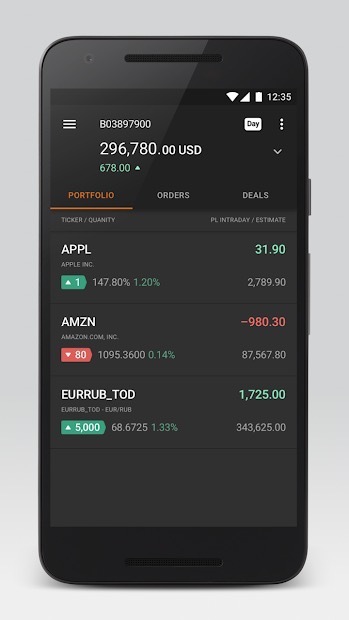 Just2Trade launches its exclusive solution for developers with Just2Trade FIX 4.2, providing a reliable API to connect your software to the market. Web based trading platform with custom pages for stock & option traders. We are committed to providing you with the highest level of customer satisfaction possible. For any questions or comments, please call our toll-free number: 1-855-274-4934 or send an email to: support@just2trade.com. Just2Trade puts the exclusive solution for developers at your fingertips. Go ahead and explore some of the features we offer! We provide various mobile applications platforms for different levels of traders: enhance your trading experience with the one you prefer. 3-5 years of experience; financial service industry, customer service, sales or customer success experience preferred. The Margin/Risk and Options Specialist performs high level functions for the firm’s risk management and margin team. The primary role requires managing the firm’s margin and option risk through client activity review and other risk management report analysis. The Margin/Risk Specialist will be responsible for the monitoring and analysis of customer accounts, while ensuring compliance with all regulatory and firm guidelines. Applicants must have an in-depth understanding of equities and option instruments/strategies and markets, including Reg-T, option trading and expiration cycles, general risk management logic, and other applicable regulations. The position requires a highly motivated and responsible individual to mitigate firm risk. Other position requirements include, intimate knowledge of proprietary and 3rd party platforms, strong written/verbal communication, ability to provide quality customer service through chat, phone, and email, and the ability to move laterally and pick up new and different assignments/tasks as needed. What type of account may I open? What is an Individual Account? An individual account is a standard investment account with only one owner. Upon death of the account holder, the account assets are passed through the account holder's estate. What is a Joint Tenants with Rights of Survivorship (JTWROS) Account? A standard account shared by two or more individuals, each account holder owns an undivided interest in the account. Upon the death of one account holder, the account ownership is passed on to the surviving account holder(s). What is a Joint Tenants in Common (JTIC) Account? A standard account shared by two or more individuals, with each account holder owning a specified percentage of the total assets. Upon the death of one account holder, the specified percentage of the total account ownership is passed through the decedent’s estate. What is a Custodial Account? A custodial account is managed by a custodian for the benefit of a minor. All deposits into the account are irrevocable gifts. The minor does not own the cash or securities until he or she meets the age of majority for the state in which the account is set up. The minor is responsible for paying the taxes on the account. A custodial account may be the Uniform Gift to Minors Act (UGMA) and Uniform to Transfer to Minors Act (UTMA). UGMA accounts are offered in South Carolina and Vermont. All other states and the District of Columbia offer UTMA accounts. What is a Traditional IRA Account? A traditional IRA is a retirement savings account that may be established by any domestic individual who pays income tax. Contributions to the IRA account may be tax-deductible, and withdrawals are taxed. Distributions may be taken without penalty once the account holder reaches the age of 59 ½, and required distributions must begin by April 1st of the year following the year in which the account holder turns 70 ½ years of age. If money is withdrawn from the account prior to the age of 59 ½, a penalty fee will be assessed. Annual deposits of up to $5,500 may be contributed to the IRA. Individuals over the age of 50 are allowed to contribute an additional $1,000 annually. If the individual has a spouse who does not earn any income, an additional $5,500 may be placed into a separate account on behalf of the spouse. What is a Roth IRA Account? Roth IRA is a retirement savings account that may be established by any domestic individual who pays income tax and has a modified adjusted gross income that is below a certain amount established by the IRS. Contributions to the Roth IRA account are taxed, and withdrawals are tax-free if they are considered a qualified distribution. A withdrawal is considered a qualified distribution if the Roth IRA has been in existence for 5 years, and one of the following has occurred: 1. The account owner turns 59 1/2 years old. 2. The withdrawal of up to $10,000 is used for the first-time purchase of a home. 3. The account owner is disabled. 4. The account owner is deceased. A rollover IRA permits the account owner to deposit the payment from one retirement plan into another retirement plan within a 60 day period. What is a SEP IRA Account? A SEP IRA is a retirement plan for self-employed individuals and small companies. Employees must be 21 or older and must have earned as least $550 during the year, as well as worked 3 out of the last 5 years. For more information, please click here. An account opened in the name of an incorporated business; a corporate account is managed by its officers or authorized traders. A Limited Liability Company account is organized under applicable state laws and managed by the officers or authorized traders of the company. A partnership is established by two or more persons who join to carry on a business and partake in its profits and liabilities. A Tax Identification number must be used in order to open a partnership account. ​What is a Sole Proprietorship? A sole proprietorship account is a business account for an individual doing business in his or her name. The owner and owner's company are considered a single entity for tax and liability purposes. Trust accounts are registered in the name of a trust managed by its trustees for the benefit of the account owner or other named beneficiaries. Apply for an account through our online account application by clicking on the yellow "Apply Now" button. How do I open a futures account? Opening an account online is the fastest way to open and fund an account. To proceed, please click on the "Apply Now" button of our home page, followed by the "Futures" button. Once your application is processed, you will receive your approval status and welcome email within 1-2 business days. How much should I leave in the account in order to keep it from being closed or locked/liquidated? The minimum amount to keep an account open is $100. The minimum amount needed to trade is $2,500 or greater, and certain margin requirement must be maintained. If you failed to meet the margin requirement after receiving a margin call, your account will be locked from trading until the margin call has been satisfied by liquidating contracts by FIFO (first-in, first-out) method, and the current session has closed or additional funds have been added above initial margin. Are they any minimums to open a futures account? Get the most out of your investing at Just2Trade Futures. If you only require an account listed in your name only, an individual account is the choice for you. Account holders requiring more than one owner need to apply for a joint account. Just2Trade Futures offers regular trust accounts. Just2Trade Futures has plenty to offer your corporation, partnership, or limited liability. Bring your business to Just2Trade Futures and we'll give you the tools you need to help grow your business. Investing in your future? An IRA allows you to enjoy the benefits of tax-deferred investment growth, so you can generate additional earnings each year your funds remain within the IRA. How can I place orders? There are two ways you can place orders. You can download our software Aeon Trader and place your orders electronically. You may also call one of our brokers at (646) 346-1000 to assist you with placing orders. Can I trade foreign futures? Yes, we offer connectivity to many foreign exchanges. Go HERE to see the future contracts available. Contracts not available for online trading may be available to be traded via phone. Check with our Trade Desk for details. Can I trade my account while it is under margined? Unless the trades serve to reduce the margin risk, trading will not be permitted. Your account will be locked from trading until the margin call has been satisfied by liquidating contracts and the current session has closed or additional funds have been added above initial margin. Yes, you can trade online with our Aeon Trader software, compatible third party software, or simply with your own custom software using our .Net API or FIX connection. How much does Aeon Trader software cost? There are no platform fees. However, you may have to pay data fees depending on which markets you require real-time data. Futures are contracts between a buyer and seller of a Commodity, Stock Index, or other underlying instrument. The contract obligates the buyer to take delivery of the Commodity, and obligates the seller to make delivery of the Commodity at a specified time in the future at the agreed upon price at the time the transaction is executed. How can I make deposits into my Futures Account? Just2Trade Futures' clearing broker - GAIN Capital - will take reasonable measures to ensure the accuracy of currency conversions, however, cannot guarantee a particular spot rate, and will not accept liability for any loss or damage which may arise directly or indirectly from the currency conversion. Due to anti-money laundering laws, Just2Trade Futures' clearing broker - GAIN Capital can only accept funds coming from an account in the same name as your Just2Trade Futures account. How do I withdraw or transfer funds from an account? You can quickly and easily withdraw funds from your Just2Trade Futures trading account by filling out the withdrawl form. Once you complete the form, please email it to support@just2tradefutures.com or fax it to (212) 483-9358. The deaily deadline to request is 12:00 PM EST. What are the requirements to begin trading in my account? Depending on the type of account you choose, different requirements apply. Please refer to the questions below for further information. What is the Per-Share Plan? The Per-Share Plan is designed for high volume traders. The more you trade, the lower your commission rate will be. For more information, please click here & go to Per Share Plan section. What is the minimum balance required to begin trading under the Per-Trade Plan? The minimum balance required to begin trading is $2,500. What is the monthly fee for the Per-Trade Plan? There is no monthly fee for the Per-Trade Plan. What happens if my account drops below $2,500 in the Per-Trade Plan? If your account is $2,500 or more, commissions will be charged at a rate of $2.50 per trade. If your account drops to between $2,000-$2,499, commissions will be charged at a rate of $4.00 per trade. If your account drops below $2,000, you will be unable to open new positions. Under $2,000 Trading capabilities ceases until equity is raised. What is the minimum balance required to begin trading under the Per-share Plan? The minimum balance required to begin trading is $25,000. What is the monthly fee for the Per-Share Plan? The monthly minimum fee is $333. If the total commissions charged on your account during the month are less than the minimum monthly fee, the difference will be debited to your account. What kind of account must I have to engage in the Per-Share Plan? You must have a Margin Account in order to engage in the Per-Share Plan. What is the minimum balance required to open an Options Account? The minimum account value varies depending on your option level. What is the minimum balance required to open a Margin Account? The minimum account balance is $2,500. What are the available Option Levels at Just2Trade? What is the commission for Option Trading? $2.50 per trade plus $0.50 per option contract. What is the minimum balance required to open a Futures Account? What is the minimum balance required to keep my Futures Account opened? The minimum amount needed to keep your Futures Account opened is: $100. What is the margin requirement for Futures Accounts? A certain margin requirement must be maintained at all times. If you fail to meet the margin requirement after receiving a margin call, your account will be locked for trading until the margin call has been satisfied. What is the commission for Futures Accounts? $2.50 per side, per contract. What are the requirements for trading OTC Stocks? OTCBB and Pink Sheet stocks must be DTC/CNS eligible and close at $0.05 or higher. Stocks that settle foreign will not be permitted. Just2Trade does not allow incoming account transfers that contain OTC securities. Do you have any educational information on how to use Just2Trade? Just2Trade plus User Guide - Coming soon! What is the Per-Trade Plan? The Per-Trade Plan is our basic pricing plan. Each commission costs $2.50 per trade, plus an additional $0.50 per option contract. For more details, please click here. How do I fund my Just2Trade Account? You may fund your Just2Trade Account through a wire transfer, ACH transfer or account transfer. Please find funding instructions inside of your Cabinet. Can I fund my account by credit card, debit card or PayPal? No, deposits by credit card, debit card, PayPal, traveler's checks or credit card checks will not be accepted. What is an ACH transfer? ACH is the acronym for "Automated Clearing House" and is the name of an electronic network for financial transactions in the U.S. Once you establish the relationship between your Just2Trade account and bank account, you may request to transfer funds between your accounts via this electronic network. There is no fee associated with your Just2Trade account to establish this relationship or to transfer funds. Besides establishing the relationship, the process is paperless – no lost checks, no postage charges. Please note that ACH relationships cannot be established for IRA accounts at this time. How long does it take to set up an ACH? Approximately 5-7 business days is required to verify your bank account information upon our office receiving your ACH Activation Form. Please submit the ACH Activation Form via fax to 202-466-6895 or scan and email it to newaccounts@just2trade.com. How long does it take to transfer funds via ACH? Transferring funds via ACH takes approximately 2-3 business days. There is a five business day hold to trade with funds deposited via ACH. You may have this hold lifted by submitting proof that the funds have cleared your bank account to info@just2trade.com or fax 202-466-6895. ACH deposits may be withdrawn via ACH after 10 business days of the original deposit. Otherwise, ACH deposits may be withdrawn via check, wire or ACAT after 60 calendar days have passed from the original date of deposit. How much does it cost to set up/use an ACH? There is no cost involved with an ACH deposit, withdrawal, or activation. To set up an ACH, please submit the ACH Activation Form via fax to 202-466-6895 or scan and email it to newaccounts@just2trade.com. Please allow 5-7 business days for your initial ACH activation to be set up. What are the Min./Max. Deposit & Withdrawal Amounts for ACH? There is a $100.00 Min. for all ACH requests In/Out. The Daily Max. for Inbound requests is $25,000.00, and the Daily Max. for Outbound requests is $100,000.00. Do you accept money orders or Western Union? No, we do not accept money orders or Western Union deposits. Do you accept third party transfers? Deposits by a third party will not be accepted under any circumstances. We do not send third party transfers. How long does a domestic wire take? Domestic wire transfers can take up to 24 hours provided all account information is correct on the wire transfer. Incorrect or missing account information may delay the credit of your wire to your Just2Trade account. How long does a foreign wire take? Foreign wires originating from a non U.S. bank generally take 24 to 48 hours (may vary depending on the country of origin) for our clearing firm to receive and post funds. Incorrect or missing account information may delay the credit of your wire to your Just2Trade account. What do you Charge for Outgoing Account Transfers? There is no charge for regular mail check requests or ACH withdrawals. Normally, accounts are charged $50 when they transfer an account out (ACAT out). The fee to transfer out and effectively close an IRA is $50. Physical and/or foreign settlement fees apply. An order to buy or sell a stock at the next available price, effective for same day orders. An order to buy or sell a security at a specified price or better. A buy limit order is executed at the limit price or lower, and a sell limit order is executed at the limit price or higher. An order to buy or sell a security when a specified price is reached. Once the specified price is reached, the order becomes a market order. A buy-stop order is entered at a stop price above the current market price. A sell-stop order is placed below the current market price. What is a Stop-Limit Order? A combination of a stop order and limit order. Once the specified stop price is reached, the order becomes a limit order to buy or to sell at the specified limit price or better. What is a GTC (Good Till Cancelled) Order? An instruction to buy or sell a security that remains in force until the order executes, expires at a specified time, or cancels. May I trade during extended hours? How do I cancel an existing order? Locate the ‘Orders’ widget on the Just2Trade + trading platform. You will see a cancel button next to each open order. Press the cancel button to submit a request to cancel your order. Can I modify an open order? Open equity orders may only be changed between 9:30 a.m. and 3:30 p.m. (Eastern Time) during normal market hours. Outside these times, you must cancel your order and enter a new order. From the Just2Trade + trading platform, locate the ‘Orders’ widget. In order to modify the order, click on the “Replace” button, located in the “Replace” column. Please note that all order change requests are subject to prior fills, including fills not yet displaying on the system. New quantity represents the total number of shares including shares already filled by the order being changed. How long do GTC orders stay open? GTC (Good until Cancelled) orders remain active for 90 days or until cancelled or executed. GTC orders cannot be cancelled after hours; GTC orders may only be cancelled during market hours. Is there an additional charge to Cancel an order? No, there is no charge to cancel an order. Please note, however, if the order has already been filled, even partially, then the order will be charged a commission for the portion that was filled. Is there an additional charge to cancel and replace an order/replace an existing order with a new order? There is no charge to cancel and replace an order. Please note, however, if the old order has already been filled, even partially, then that filled order will be charged a commission. Please also note that if the new order replacing the cancelled order is filled, then the new replacement order will also be charged a new commission once it begins to be filled. What kind of products does Just2Trade offer? At Just2Trade, you may trade in Stocks, ETFs, Options, Mutual Funds, Futures and OTC (Over the Counter Stocks). Do you accept orders in ETFs? Yes. Clients can place trades in ETFs trading on US exchanges. Do you offer margin for ETFs? Margin requirements for non-leveraged ETFs are the same as those for regular stocks. Leveraged ETFs are held at a 100% requirement. Can I trade foreign stocks? If the foreign issue settles in and is listed over-the-counter in the U.S., you will be able to trade the security through our systems. Can I trade preferred stock and class shares? How do I enter orders for preferred stocks? Class shares? You can trade both preferred stock and class shares. Preferred share issues are denoted by a trailing .PR indicator, with or without an additional letter indicating a further specification of the shares. For example, the following symbols denote preferred shares: AF.PR DXG.PRA Class shares are indicated by a period before the class specifier. For example, to get a quote for Berkshire Hathaway Class B shares, enter BRKpB. How long does it take to open an account? Please allow 1-2 business days upon receipt of your application. An email notification regarding your account approval status will be sent to you. U.S. Citizens, U.S. Residents and Foreign Citizens are welcome to open a Just2Trade account. You must be at least 18 years of age to open an account. I live outside of the United States. Can I open an account with you? Citizens who reside outside of the United States are welcome to apply. To begin your application, please click here. Due to changes to investment regulations in non U.S. Jurisdictions, citizens of certain countries may not be able to open accounts. Certain foreign accounts may also be limited to certain offerings (i.e. no margin.) For more information, please contact: newaccounts@just2trade.com. As an individual, have an annual income and net worth of $200,000. With a spouse, have an annual income and net worth of $300,000 in each of the two most recent years, with an expectation of reaching the same income level in the current year. Be a general partner, executive office, director, or a related combination thereof for the issuer of a security being offered. What is a Wholesale Investor? Citizens of New Zealand and Australia may only open Just2Trade USA accounts as wholesale investors. A person will be considered to be a wholesale investor under the following conditions. A person or entity that has obtained an accountant's certificate within the preceding six months stating that the client has net assets of at least $2.5 million or has a gross income for each of the last two financial years of at least $250,000. If your account is $2,500 or more, each commission will cost you $2.50 per trade. If your account drops to between $2,000-$2,499, each commission will cost you $4.00 per trade. If your account drops below $2,000, you will be unable to open new positions. Is there an additional charge to trade during Extended Hours Trading sessions or to trade on ECNs? A commission surcharge of $0.003 per share is applied to orders executed on the ECN (i.e. ARCA and NSDQ). You may route orders to these destinations during market hours and extended hours trading sessions. During extended hours, pre-market orders may be placed between 7:05 - 9:30 a.m. EST and after-hours order may be entered between 4:00 - 8:00 p.m. EST. What is your Commission for Mutual Funds? $12.50 per trade plus any additional charges from the mutual fund. Please consult the fund prospectus to verify if there are any charges from the mutual fund. What is the commission to place a mutual fund order over the phone? The commission for a broker-assisted trade placed over the phone is $12.50 per mutual fund trade plus any charges from the mutual fund. What is your Commission for Partial Fills? Partial fills of Good till Cancel (GTC) orders will be charged full commission for each day an execution occurs. Same-day partial fills will only be charged a single commission. What is the commission to trade an ETF online? The commission to trade ETFs online is $2.50. What is the commission to place an ETF order over the phone? The commission for a broker-assisted trade placed over the phone is $20.00 per ETF. What is the Commission for Low Priced stocks? For stocks priced less than $1.00, add $0.003 per share for the entire order. The maximum commission per order is not to exceed $5.50, with a minimum commission of $2.50. What is the commission to place an equity/option trade over the phone? The commission for broker assisted trades placed over the phone is $20.00 per trade plus 50 cents per contract for option trades. What is the Commission for Pink Sheet or Over the Counter (OTC) securities? For all OTCBB and Pink Sheet securities, add $0.003 per share for the entire order. The maximum commission per order is not to exceed $5.50, with a minimum commission of $2.50. Please note that additional charges such as settlement and/or transfer fees may apply to foreign and some illiquid OTC-BB or pink sheet securities. These fees are charged upon settlement of the trade. Opening transactions for stocks priced at or around $0.05 per shares will not be allowed, only closing transactions will be permitted. What is the Foreign Settlement Fee? The foreign settlement fee, usually $75, is charged to trade securities that do not settle domestically (through DTCC). The foreign settlement fee does not apply to American Depository Receipts (ADRs). Currently, there is no list available for the securities that do not settle domestically but generally the symbols are 5 letters and end in F. However, not all 5-letter symbols ending in an F are charged the foreign settlement fee. What is the Safe-keeping Charge? A safe-keeping fee is only charged if the security you own is not eligible to be held electronically through the Depository Trust and Clearing Corporation Company (DTCC) and the physical certificate must be held by our clearing firm, in the vault. This is generally seen with low-priced penny stocks and rarely seen with the securities traded on NYSE, AMEX, or NASDAQ exchanges. The safe-keeping fee is $50.00 charged annually. What is a Sell Out/Buy-In fee? A Sell out/Buy-in fee is charged if you fail to meet a margin call that is past due in your account and Just2Trade is forced to liquidate securities in your account to meet this past-due call. The fee is $25. What is the charge to trade options? The online cost to trade options is $2.50 plus $0.50 per contract. Do I need to update my account in order to trade options? Yes, you will need to update your account with an Options Agreement. Please fax this form to 202-466-6895 or scan and email it to newaccounts@just2trade.com. How do I exercise my options? To exercise an option, please submit a request from your email address on file to tradedesk@just2trade.com. The email must include your account number, name, number of contracts to be exercised, and the option symbol to be exercised. Funds to cover the cost of exercise must be in the account prior to submitting the request, or the request will be rejected due to insufficient funds. When can I exercise my options? Requests to exercise options can be submitted at any point before 3:00 PM EST on the last trading day prior to the date of expiration. Please note that for a request to be processed the same day, it must be received via email prior to 3:00 PM EST. Please submit the request to tradedesk@just2trade.com. Where can I see that my options are exercised? You can view this on your monthly statement and on your Just2Trade online trading account.To view your statements online, click on the “Reports” button located inside of the Cabinet. To view the exercise transaction, select a two-day time range after the day that you submitted the assigned request. How much does it cost when I exercise my options? There is a $20 fee per exercise or assignment. This fee is charged on a per option symbol basis. When are my options assigned? Given the option contract, options can be assigned at any time. How much does it cost when my options are assigned? Where can I see that my options are assigned? You can view this on your monthly statement and on your Just2Trade online trading account. To view your statements online, click on the “Reports” button located inside of the Cabinet. To view the assigned transaction, select a two-day time range after the day that you submitted the assigned request. Which orders can I place on stocks under $1? You may place a buy or sell order for limit orders. You may only place a sell order for market orders. Market orders are not supported for opening transactions of OTC securities. Which option orders can I make? What is the maximum risk level allowed? Just2Trade offers clients with cash and IRA accounts the ability to purchase calls and puts and write covered calls (if approved). Qualified margin accounts have the ability to write uncovered calls and puts (if approved). Qualified margin accounts must have a minimum of $25,000 in equity to write uncovered puts and a minimum of $100,000 in equity to write uncovered calls. Complex option strategies, including spreads and straddles, will be added in the coming months. Are options margin eligible at Just2trade? No, options cannot be borrowed against at Just2trade. Do you allow cash-covered puts? At this time, cash-covered puts are not available. Does Just2Trade offer streaming option quotes? Yes. Streaming option quotes are available on the Just2Trade platforms. Does Just2Trade provide option charting? Historical option pricing information? No. At this time, Just2Trade does not offer option charting or historical option pricing information. Am I able to trade options in an IRA? IRA accounts are eligible to be authorized for Options Level 1 & 2, allowing you to purchase calls and puts and write covered call options. Uncovered option trading is not permitted for IRA accounts. In order to update your account for options trading, please submit the Option Account Agreement. Please fax all pages of the completed form to (646) 381-3624 or scan and email it to newaccounts@just2trade.com. How do I add/remove margins? To apply for a margin account, please complete the following Margin Agreement. Please send all pages via fax to 646-381-3624 or scan and email all pages to newaccounts@just2trade.com. Pending approval, the agreement will be processed if your margin equity is above $2,500 and once your trades have settled. To remove margin, simply email tradedesk@just2trade.com and state that you would like to have margins removed from your account. Alternatively, send a signed and dated letter requesting for us to remove margins from your account: this letter can be faxed to 646-381-3624. How do I short a stock? To short a security, you must have a margin account. To apply for margin, please sign and submit the entire Margin Agreement via fax to 646-381-3624 or scan and email it to newaccounts@just2trade.com. Short sale orders may be entered through the platform, by clicking the “Sell Short” button on the order ticket. If the order is rejected, it is not on the easy-to-borrow list and must be requested via phone or chat. Please call 855-274-4934 and Just2Trade will attempt to locate a hard to borrow security for you to short. Please note that short positions may be subject to hard-to-borrow or stock loan fees. How does Just2Trade calculate the Margin Interest Rate? The margin interest rate is charged monthly but calculated on a daily basis for a 360-day year; the daily cost is based on your debit at the end of each day. You can calculate the daily cost by multiplying the amount you have borrowed by the Current Interest Rate divided by 360. Daily Cost = (Amount Borrowed) x (Current Interest Rate/360). Please click on the Margin Interest Rate to find your Current Interest Rate. Is it possible to place a trade in cash within a margin account? While all trades in a margin account are placed and remain in a margin account type, you may limit yourself to using only the cash balance in your account. A margin account type does not mandate that you borrow with each purchase transaction that you make. You are only borrowing when your purchases exceed your total cash. Is there an Account Minimum Value/Equity? All accounts at Just2trade, including margin accounts, must maintain a total account equity of $2,500, which includes cash and/or positions. House calls will be issued to margin account holders who fall below $2,000 total equity. Some accounts require higher minimums and are listed below. Day trading accounts must maintain a minimum $25,000 equity, which includes cash and positions. What are the margin requirements for ETFs? Non-leveraged ETFs have the same margin requirement as Normal Stocks (National Market System or NMS securities). Leveraged ETFs are held at 100% initial and maintenance requirement. What can I do if I cannot short a security? If a short sale is rejected due to being hard-to-borrow, please call 855-274-4934, email TradeDesk@Just2Trade.com or connect with us through live chat, which is located on the bottom left hand corner of your screen. Just2Trade will attempt to locate a hard to borrow security for you. What happens if I get a margin call? Generally, you are issued a margin call via email. If you do not satisfy the margin call by the due date listed on the email, then securities are liquidated in your account to cover the margin call. When you do not cover the margin call yourself via liquidation, you are charged a $25 fee. For more information, please consult the Margin Calls and Flags Guidelines. What is a sell-out/buy-in fee? A Sell out/Buy-in fee is charged if you fail to meet a margin call and it becomes past due. The fee is assessed if Just2Trade is forced to liquidate securities in your account to meet a past-due call. What is the margin requirement for short stocks? Please view the margin requirements for short stocks on the Margin Requirements page. What risks are involved in trading on margin? Please note that trading on margin involves increased risk and could result in losses that exceed initial and/or subsequent investments. Since you are allowed to borrow funds above the amount deposited, trading on margin can result in losses greater than the initial principal invested. The decision to trade on margin must be considered carefully by each investor. Please examine the following Margin Agreement. Please also read additional information, including FINRA's Margin Information and FINRA's Investor Alert regarding margin. Where can I see the interest being charged to my account? Margin interest is charged to your account every month based off of a yearly rate. You may view the interest charged from either your Cabinet or trading platform. To view the interest charged from your Cabinet, click on “My Accounts”. Next, click on the “Reports” button. Then, click on “Statements and Confirms”. To view the interest charged from your Trading Platform, locate your “Statements and Confirms” widget. Why are all my trades in margin if I'm not borrowing? In margin accounts, all stock and option trades are done in type margin. A margin account type does not necessarily mean that you are borrowing. It is possible to have a positive cash balance in your account but still trade as type margin. You are only borrowing when your purchases exceed the total cash in your account. A day trade is when you open (buy/short sell) and close (sell/buy-to-cover) a position in the same day. Please note that extended hours trading activity does count towards day trading. It is considered a day trade so long as a sell/buy to cover is executed following a buy/sell short of the same security on the same day. It is not considered a day trade if you sell/buy to cover and then buy/sell short so long as you do not close your purchase/short thereafter. What further information is available about day trading? Please refer to FINRA's Investor Guidance on day-trading rules. What risks are involved in day trading? Day trading involves significant risk. There is a high degree of risk and losses could exceed any initial and/or subsequent investment. Please be sure to review our Day-trading Agreement and Risk Disclosure, and our Margin Agreement. Additionally, you will find more information if you refer to FINRA's Investor Guidance on day-trading rules. Is there a limit as to how many trades/day trades I can make? Please be advised that a margin account holder will be flagged as a pattern day trader if he/she executes more than three daytrades within five consecutive trading days. If you are flagged as a pattern day trader and your account is below $25,000, your account will be restricted from. If you cannot meet the minimum requirements, then you will no longer be able to day trade. If you can meet the minimum requirements to qualify as a day trading account and decide to set your account as such, there is no limit as to the number of day trades that can be placed. How do I set up my account for day-trading? To apply for a day trading account, deposit a minimum balance of $25,000 and complete and submit both the Margin Agreement and the Day Trading Agreement. You must maintain at least $25,000 of equity in your account. What happens if I day trade and I am not set up for day-trading? You are allowed to enter a limited number of day trades in a margin account without being flagged as a pattern day trader. In a margin account, if you exceed 3 day trades in a 5 day rolling period, our clearing firm will flag your account as a pattern day trading account. Once flagged, an email notification will be issued the following morning. Accounts with balances below $25,000 will be restricted to liquidations only till the balance is brought above $25,000. What are the requirements for pattern day trading? You need to open a margin account which can be done by completing a Margin Agreement. You need to maintain a minimum of $25,000 total account equity. You must also submit the Day-trading Agreement and Risk Disclosure. Please refer to FINRA's Investor Guidance for more information on day-trading. What happens if I am flagged as a pattern day trader? Once you are flagged as a pattern day trader, this designation cannot be reversed. From this point forward, you cannot enter any day trades while your account is below the minimum requirements for a day-trader. If you would like to continue day trading, you must submit the Day-trading Agreement. Just2Trade offers a one-time forgiveness, where you may submit a Change of Strategy in order to revert to a regular margin account. What happens if I fall below the $25,000 minimum within a day-trading account? You will be restricted from trading until your account meets the $25,000 minimum or until you submit a Change of Strategy (can only be submitted once). Does Just2Trade offer Portfolio Margining? Just2Trade does not offer portfolio margining at this time. How do I make a contribution to my IRA? You may make a contribution to your IRA by check or wire. You must reference the deposit's contribution year on all checks and wires, and submit an IRA Deposit Slip with each contribution. What does it cost to open and maintain an IRA account? There is a $50 annual IRA fee. This fee is waived for accounts which place more than 40 trades per year and maintain at least $50,000 in assets. How do I sign up for electronic delivery of statements and trade confirmations? Once you are inside of your Just2Trade Cabinet, click on “Statements” followed by “Statements & Confirmations”. Make sure that you select 3 or more boxes prior to clicking on the “Save” button. Do you charge a fee for proxy, regulatory and corporate action mailings? There are no fees for proxies, regulatory documents and corporate action notices that are sent to you by mail. Why do I receive some mailings by post if I have consented to electronic delivery? Regulations require that certain information be sent in physical form. This includes shareholder information, notification of changes in interest rates, and tax-related reminders. These mailings are sent at no cost to clients. May I ask Just2Trade client representatives for tax advice? Our client representatives are unable to provide any tax advice and if your question is viewed as such, you will be referred to your accountant or tax advisor. How do I get my 1099 tax form through Just2Trade? 1099 tax forms are sent to your mailing address of record unless you opt for electronic delivery of tax documents. In this case, a PDF file containing your 1099 will be posted to your online account. To access your 1099, enter your private office, also known as the Client Cabinet. Click on "My Accounts." Next, click on the "Statements" button, followed by the "Statements & Confirms" button. Whom should I contact with questions about my tax form? Please contact a Just2Trade client representative via support@just2trade.com with any questions about your tax form. However, remember that our client representatives are unable to provide any tax advice and if your question is viewed as such, you will be referred to your accountant or tax advisor. In order to change your password, you must be logged into the Just2Trade+ Trading platform. Once you are inside of the trading platform, please click on the "Settings" button. The "Settings" button is located on the upper-right hand corner of the screen and has a gear symbol on it. Once you click on the "Settings" button, a new pop up window will appear which shall enable you to change your password. Upon creating a new password, please make sure that it is at least 8 characters, a combination of letters and numbers and contains at least one lowercase and one uppercase character. Your account must be free of any securities or cash before we can close your account. You may liquidate, request a certificate, or transfer your securities to another broker. You may request a check, wire or ACH withdrawal for the cash in your account, or transfer the cash to another broker. Any account transfer to another firm must be initiated through the firm to which you are transferring. To officially close your account, please submit an Account Closing Request. How do I remove securities that are not currently trading? For securities that have no current market, you may submit a Worthless Security Form Request ($30 per security). There is a $30 fee associated with this action. Please submit either Form A (process as a journal). Certain securities, such as restricted positions, cannot be written off as worthless. For these positions, you may request a physical certificate at a minimum processing and shipping cost of $20. To determine the exact charges, please email support@just2trade.com. If you forget your password, please call Just2Trade Support at: 1 (855) 274-4934. How does Just2Trade protect my account security? Your online account information is 100% encrypted by proprietary technology. Our systems use a 64-bit block cipher and support a variable key length of 32 bits to 448 bits. What this means is that a block of your personal data is taken and is scrambled with a key created from your password to make it unreadable. The data that is sent to you as our client is NEVER cached in an unencrypted format on the computer that you are using. All of the client-side decryption is handled in memory. In layman's terms, your account information cannot be retrieved from the web browser's cache files. What are the system requirements of the Just2Trade trading platform? If I have cancelled an order after market hours, when can I trade again? Our connections to the market centers for orders placed or open during normal market hours close at 4:00 PM EST. When cancelling an order outside the normal market session, you will be able to replace your cancelled order at 9:20 AM EST the next business morning. My sell order is getting rejected. One of the most common reasons for a sell order rejection is that you may already have an open order in the system. Check your Orders widget to make sure you do not have an existing order open for the security you are trying to sell. You must cancel an open order before replacing it, or use the replace button on the Positions widget. My trade is being rejected during extended hours. Please make sure that your Duration is set to "Day+" and that your Destination is set to either ARCA or NSDQ. There are securities that do not trade after hours. Check www.archipelago.com or www.nasdaq.com to find out if your stock is trading in the extended hours session. Currently, we only support AMEX, NYSE, and NASDAQ listed securities for the extended hours session. Do you charge for Paper Statements and Confirmations? Yes. Our goal is to go paperless and allow customers to have an electronic copy available at any time. To sign up for e-confirmations and e-statements, simply log into your Cabinet. Click on “My Accounts”, followed by the “Statements” button. Next, click on “Statements and Confirmations” and select the documents you wish to receive electronically. Should you wish to keep having your confirmations and statements physically mailed to you, please note there will be a postage and handling fee of $5.00 per statement and $3.00 per confirmation mailed. Between which hours can I reach a client representative? Our normal office hours are Monday – Thursday, 9:00 a.m. – 6:00 p.m. EST and Friday between 9:00 a.m. – 5:00 p.m. EST, excluding market holidays. How can I contact a representative? Contact a Just2Trade representative via Live Chat, E-mail or Phone. Live chat is available on the bottom right-hand corner of your screen. You may also email us at Info@Just2Trade.com or calling toll-free at: 1-855-274-4934. "Just2Trade took top honors with the price of $2.50 for both equity and mutual fund trades"
"Low cost with few frills & some great education offerings. A good package of products at very low cost." "Just2Trade has a snazzy Web site, with an up-to-date design and customizable click-and-drag windows"
*ECN, SEC, TAC, Index, and ORF fees may apply. Please visit the link below for a detailed description of these fees and how and when they are assessed. Investments involve risk, past performance does not represent future results. Diversification may help spread risk but does not protect in a down market. You may lose all of your investment. Investors should consider their investment objectives and goals before investing. No information on this website should be considered an offer to buy or sell a particular type of security. This is not an offer or solicitation in any jurisdiction where we are not advertised to do business. Options involve risk and are not suitable for all investors. Fees, commissions, interest charges and minimum account balances should be taken into thought when considering options strategies. Transaction costs may be higher in multi-leg option strategies, including spreads, as they involve additional charges per leg. Supporting documentation for any claims will be supplied upon request. Please visit Options Pricing for additional information. Just2Trade does not provide tax advice. Please consult with a tax advisor as to how taxes may affect the outcome of options transactions and or strategies. Detailed information on the risks associated with options can be obtained by downloading the Characteristics and Risks of Standardized Options and Supplements (PDF) from The Options Clearing Corporation website or in the link below. Transactions in futures carry a large amount of risk. The amount of Initial margin is small relative to the value of the futures contract so that transactions are “leveraged” A relatively small market movement may have a proportionately larger impact on the funds you have deposited or will have to deposit: this may work against you as well as for you. You may sustain a total loss of initial margin funds and any additional funds deposited with the firm to maintain your position. If the market moves against your position or margin levels are increased, you may be required to pay substantial additional funds on short notice to maintain your position. If you fail to comply with a request for additional funds within the time prescribed, your position may be liquidated at a loss and you will be liable for any resulting deficit. Trading in futures and options is not suitable for many members of the public. You should carefully consider whether trading is appropriate for you in light of your experience, objectives, financial resources and other relevant circumstances. Past performance is not indicative of future performance. The risk of loss in trading futures contracts can be substantial, and therefore investors should understand the risks involved in taking leveraged positions and must assume responsibility for the risks associated with such investments and for their results. Please visit Futures Disclosure for additional information. System response may vary due to a variety of factors, including trading volumes, market conditions, system performance, and other factors. Substantial risks are involved with electronic trading. Please read the statements, disclosures and notices linked below. Options involve risk and are not suitable for all investors.